It's important to think about yourself too. So... I want you to take a little time to do just that! RIGHT NOW. Stop what you're doing. Make yourself an appointment for a mani-pedi, schedule a (few) coffee dates with a friend, go out for dinner with your sister-in-law, schedule a date night with your hubby... or get a massage! Don't just say you're going to do it. Schedule it. Make it a monthly event. PUT IT ON THE CALENDAR. The best things I've ever done for myself are things I've actually made a monthly thing. They're simple. An hour here or there. But they refresh me. They remind me that I'm important too. 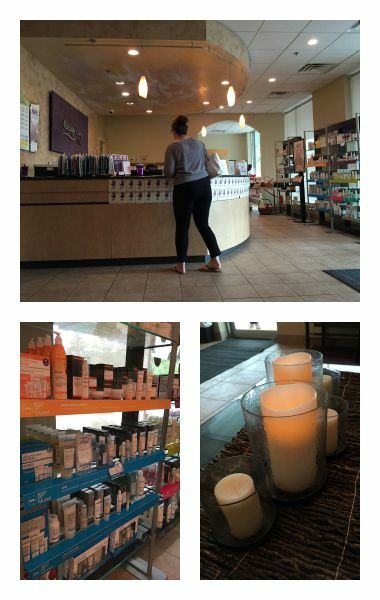 The most recent ME thing I've been doing is getting a monthly massage at Massage Envy in Florham Park, NJ. I was invited to try out their massage or facial services... and I jumped right on the massage. I've been having on again off again back pains... so I figured maybe it was perfect timing. I left my review massage... and I immediately signed up as a member. I've been going once a month now since August... and I've been feeling a lot fewer of those aches and pains (getting older stinks!). Massage Envy may not be for everyone. I personally love it. It isn't a fancy spa. It's simple. I've tried spas on occasion... and I tend to feel out of place. I guess I just don't tend to lean towards extreme luxury. So for me... Massage Envy is perfect. It has this clean simple feel. It's an extravagance... while being down to earth. One thing I absolutely want to point out. I have never felt any pressure to buy any products while I've been at Massage Envy. Other places I've gone for facials and massages have been a little pushy with their suggestions to buy their products, or to come back more frequently. I almost felt like I couldn't leave until I bought that special skin elixir that they felt was my perfect thing. Or that I really wouldn't be happy with their services unless I came weekly. They do make suggestions... they do ask me each time I check out if there's anything else they can do for me. But... unless I've asked for more information, or for a suggestion on a possible product or service... there has never been that pushy sales feeling. I can't tell you how comfortable that makes me feel. An additional stress relief in my book! There are tons of locations so it's really convenient. And while their monthly membership plans are great (and offer some nice perks) you can just go once in a while without being a member. But honestly... I'd highly recommend the monthly membership. It's so worth it to treat yourself. And... if you do decide to give Massage Envy a try... let them know I sent you! I can add an extra 1/2 hour to my massage for each friend I refer! Massage Envy wants to give one of my readers a complimentary 1 hour massage. Make sure you check out Massage Envy's website, Facebook page, and Twitter stream for more information about their services and ongoing deals!